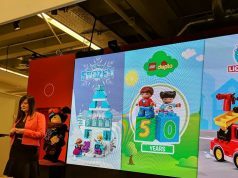 There are some new images of the LEGO DUPLO Super Heroes sets that are to be released this summer. The Super Heroes sub-theme is new to DUPLO and introduces younger children who are new to LEGO to various super heroes and villains in the DC Comics Universe. Check out the images and set descriptions below. Fly to the rescue and save the day with Superman! Help him stop the car from crashing into the water hydrant, then head back to work at the Daily Planet office. Young children will love creating adventures with Superman. Encourage basic building skills with the easy-to-build office and brightly colored LEGO DUPLO bricks. Includes a LEGO DUPLO Superman figure. Catch The Joker before he causes more chaos! Help Batman speed to the scene in his Batmobile, then use the Batarang to stop The Joker and his out-of-control radar. Young children will love building exciting scenes with the large, brightly colored bricks and helping Batman to save the day, time and time again. Includes LEGO DUPLO Batman and The Joker figures. Enter the Batcave and get ready for some exciting adventures! Park the Batwing and get to work with all of the amazing Batman gadgets, but watch out – Catwoman is sneaking about! Help Batman quickly down the slide to capture her. 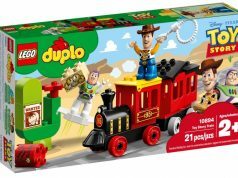 Your child will develop creativity and building skills with this iconic, easy-to-build set featuring lots of extra bricks for extended play. Fire the imagination with endless super hero role play opportunities. Includes LEGO DUPLO Batman and Catwoman figures.